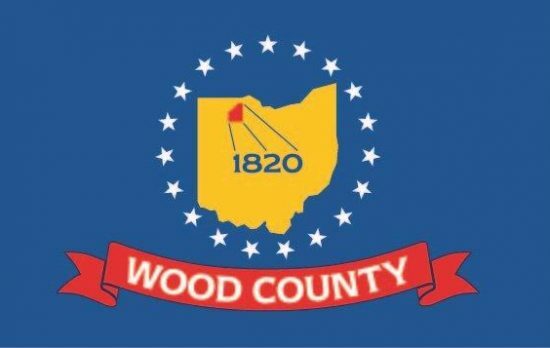 Ohio Governor Ted Strickland joined CSX President Michael Ward, and Wood County’s state and federal legislators in the ceremonial groundbreaking for a $175 million state of the art intermodal freight hub in southwestern Wood County, Ohio recently. Situated in Henry Township, approximately one mile west of the Wood County village of North Baltimore, Ohio, the Northwest Ohio Transshipment Terminal occupies a 500 acre site along Ohio Route 18, giving it excellent access to Interstate 75. A cornerstone of the National Gateway Project which will link the Midwest with double stacked containerized shipping to both coasts, the terminal will create 200 permanent jobs most immediately when completed in 2011. 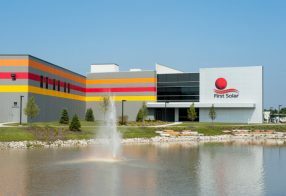 Its presence is expected to attract thousands of jobs from logistics and distribution centers as well as subassemblers whose location adjacent to such a well connected facility is expected to lower costs and make products available cost effectively to a large portion of the United States and Canada. 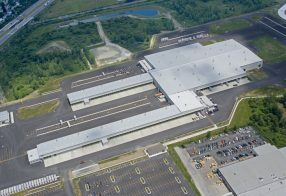 The Wood County Economic Development Commission (WCEDC) will be facilitating and assisting developers of logistics parks and distribution centers to capitalize on this location which can efficiently receive freight from all over the world, and put consumer products in the hands of 65% of the U.S. population within a day’s drive radius. 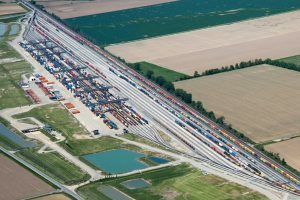 The WCEDC worked with CSX Intermodal on their $220 million investment in Wood County that created over 350 jobs and is now the largest intermodal hub in the CSX system.